I am sure you have heard the saying, “the left-hand doesn’t know what the right hand is doing.” This statement can be quite evident when the decisions by the US government are explored. For many individual states, the minimum wage became a hot-button issue, and quite a number of state governments decided to pass laws to increase the minimum wage. Unfortunately, this one decision has seen a domino of other consequences that have impacted individuals with disabilities and their families. In Arizona, the increase in the minimum wage has caused group homes to close and services to dry up (such as respite, in-home support, and employment support) which has put great pressure on families to find a new way to care for their child. 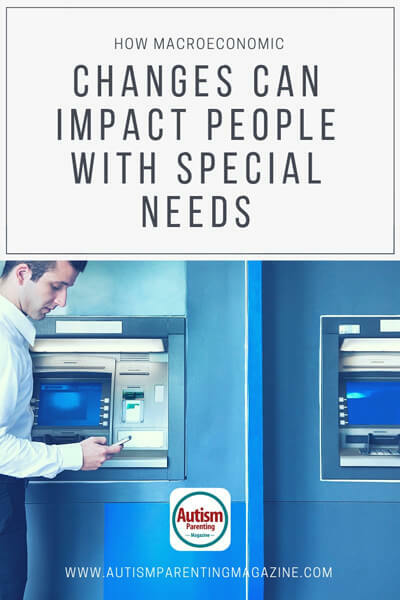 The connection comes from the fact that direct support professionals can find new employment opportunities that pay the same hourly rate or higher, so many organizations have seen a flight of employees without the ability to keep up. They are unable to keep up because reimbursement rates from Medicaid and the state have risen only 11% since the minimum wage law was passed while the cost of employees has risen 31%. The Arizona situation has been mirrored in many other states, and it is just another example of how one decision that seems right, has consequences that can be dire for others. The example of the minimum wage law change is an example of a macroeconomic change that impacts a family’s ability to care for their loved one, but it also illustrates the pitfalls that families face in their individual family planning when making decisions. So many families come to us with several advisors that are giving them advice that seems correct, but they don’t know the unintended consequences of those decisions for a family that must have the vision and understanding to plan for two generations. The multi-generational type of planning that families with a loved one with special needs must undertake means the action strategies that are created must be coordinated and your advisors need to understand the impact of each decision, because the unintended consequences means an individual with a disability no longer has the benefits they need, possibly a loss of housing, transportation, healthcare, and even the taxes paid by a special needs trust eating up nearly 50% of the money that was supposed to be left for the child with special needs. It is unfortunate when planning without true understanding occurs because it is then that mistakes are made, but the consequences are discovered many years later when the ramifications can rarely be reversed. The minimum wage law and the unintended consequences to those with intellectual and developmental disabilities is simply a warning to us all that a plan must be thought out with expertise, knowledge, and guidance because if not done correctly it is an individual’s lifetime support that is held in the balance. Ryan F. Platt, MBA, ChFC, ChSNC, is a registered representative of and offers securities, investment advisory, and financial planning through MML Investors Services, LLC, member SIPC. A Special Needs Plan is not a subsidiary or affiliate of MML Investors Services, LLC, or its affiliated companies. This article is not a recommendation or an endorsement of any products.